Everything about Adria Dawson’s life has changed in unimaginable ways: the shattering betrayal of her mother, the fight for her life and sanity…the loss of her humanity. But now Adria must face the ultimate challenge and risk not only her life, but the lives of everyone she loves at the wrathful hands of Isaac Mayfair’s father. 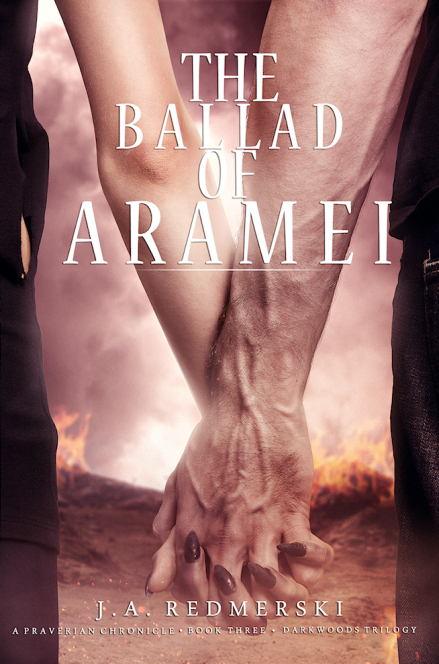 Determined to help unravel a mysterious message deeply rooted in an unhinged mind, Adria becomes obsessed with traveling into Aramei’s turbulent past to see the truth of how the relationships and betrayals between the Mayfair and Vargas bloodlines were formed. Meanwhile, Adria and the Mayfairs are doing everything they can to smoke out and trap the Praverian traitor. A trip to Providence uncovers not only an old family line who are enemies of the Praverians, but also raises questions about the Praverian’s true agenda. But the traitor will be caught. People will die. And Adria’s destiny to be the cause of a war will come to pass. But what could a kind and simple girl like Adria Dawson ever do that could be considered an act of war? The landscape of the werewolf world will be forever changed in the climactic conclusion to The Darkwoods Trilogy.